Add beautiful style to designs with the Clay River Designs thick purple flat leather slider bead. This wide rectangular bead features an opening perfect for use with flat leather. Use it with two pieces of 10mm flat leather or four pieces of 5mm flat leather. It makes a great focal for designs. It features deep purple color with hints of periwinkle. Start your designs with a regal style statement using the Regaliz 5mm violet Arizona flat leather by the inch. This leather has a soft, suede-like finish, giving it a more matte shine than other flat leather options. This stringing material is created by wrapping a sheet of leather around a cotton core, so the back has a seam down the middle. Thin 5mm flat leather is perfect for creating trendy wrap bracelets you can wear everywhere. The soft leather is comfortable to wear. It features a deep purple color, perfect for pairing with shining golden tones. Use it with clasps and slider beads made for 5mm flat leather. Bring a regal sense of style to your designs with the Regaliz 10mm violet Arizona flat leather. This leather has a soft, suede-like finish, giving it a more matte shine than other flat leathers. This stringing material is created by wrapping a sheet of leather around a cotton core, so the back has a seam down the middle. Use flat leather to create trendy wrap bracelets or fun chokers. The soft leather will feel comfortable against the skin and look great. This leather features a deep purple color that would pair well with rich tones like olive green or navy blue. Use it with slider beads and Regaliz clasps. Let your regal style shine through in your designs with the Regaliz 10mm flat deep purple leather. This flat leather stringing material is versatile in size, making it a great option for wrapped leather bracelets or cool chokers. Sturdy yet flexible, you'll love working with this fashionable leather. This leather displays a dark purple color full of royal beauty. Pair it with solid shades of black for a dramatic look. Use it with slider beads and Regaliz clasps. Give your modern looks a regal twist with the Regaliz 5mm dark purple flat leather. This leather features a versatile size and a flat shape, so you can use it in many different ways. Create wrapped bracelets with this leather or use it to create fringe accents. This leather is rich with dark purple color which is made even bolder thanks to the black edges. The facing side of this leather is smooth and shiny, while the back features a rougher texture. You can pair this leather with silver tones for a contemporary look. Use it with clasps and slider beads made for 5mm flat leather. Complement your leather jewelry with bold color using the Clay River Designs porcelain medium slider bead in royal purple. This slider is made to fit Regaliz oval leather perfectly. It is cylindrical in shape, with a wide oval-shaped stringing hole. String it onto bracelets or chokers for a noticeable accent of color. This bead features dark purple color with hints of periwinkle blue. The violet color of this leather footage is a surprising twist to the natural material. It would look great paired with gold. You can use this leather as the foundation for bold necklaces, wrap bracelets, and more. Try mixing this leather cord with silk ribbon or chain to add a surprising splash of texture to your designs. Try it in your next project. 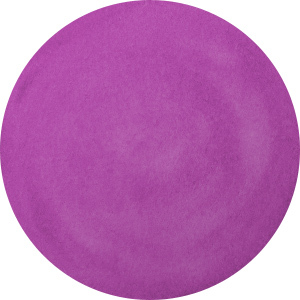 Give your designs a lovely lavender base with this ultra micro fiber suede stringing material in purple. Sold by the foot, this stringing material has all the look of suede in washable microfiber, so your designs will look high-quality and stay that way. The pale purple material would complement paste shades or rich blues, purples and silver nicely. 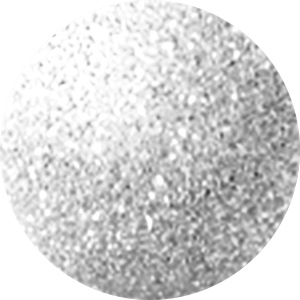 This wonderful material is perfect to use in jewelry designs as a substitution for leather or suede. Mix with chain, fibers or silk for a beautiful multi-strand necklace.